Let me preface this whole post by saying that there is really no “proper” way to go about tasting wine. Wine is as individual as you are – that’s a part of what’s so great about it! However, if you’re reading this, one of your goals for your next wine trip is probably to experience a bunch of really great wine without spending a fortune. This means that in the tasting room you really want the staff to be on your side. Finding favor with the tasting room staff means that you really don’t want to be one of the first two. But for the tasting room staff, dealing with a genuinely interested wine person is a treat – sort of like dealing with a friendly passenger at an airport. So you might be amazed at how often the rules are broken: what’s printed on the tasting menu magically no longer applies, minimums are waived and extra “off the list” bottles appear from behind the counter. Appearance matters, so consider dressing in business casual attire – I usually default to nice jeans and a polo or casual button down. Shorts are fine if it’s a really hot day, but screen printed t-shirts are a big red flag. Carry a small notebook and pen (bonus points if you pilfered it from your hotel room) and take a few notes on the wines you taste. It’s a small detail that says you’re interested in learning, and I’m always amazed at how quickly tasting room staff take notice. Bring a bottle of water. Seasoned pros always have water handy – it’s a smart idea anyways, and it sends the message that you’re responsible which inclines the tasting room staff to be a little more generous with their pours. Browse around the tasting room before you approach the bar (booze tourists always want to hit the bar ASAP). It scores you a few brownie points because you seem interested in the winery – bonus points if the staff invites you to the bar for a tasting. We’ve found this to be especially handy if we show up just as they’re opening up shop – that way the staff doesn’t feel as rushed to get set up. Don’t be afraid to ask lots of questions, even if it’s for guidance on which wines to try. Most winery staff are passionate about their product, and they LOVE answering questions and helping you find something you’ll really enjoy. Never make demands or ask for VIP treatment. This ought to be common sense, but I’ve been in the business long enough to know that common sense isn’t always so common. As much as you may hate to waste wine, be in the habit of dumping what you don’t like. That’s what those buckets are for and nobody gets offended. Tasting room staff expect that most people won’t be in love with every wine they try.. in fact, the guy who polishes off every sample may get the hairy eyeball. On the other hand, if you’re dumping a bunch of stuff, this is where the “extra” bottles often come out – many tasting room staff are convinced they have SOMETHING you’ll like and they’ll rise to the challenge of finding it. Don’t be afraid to say (politely) that you don’t care for a particular wine. Don’t insult them by calling their wine “bad” but there’s also no harm in saying “this one doesn’t do it for me” or “this one’s really not my style.” Bonus points if you can guide them towards your style, as once again, off-the-list bottles may start appearing for you. We had one pinot producer in Oregon bring our their entire reserve line for us when we identified one particular wine that we were in love with. A note on spitting: Yeah, it’s gross, but wine professionals commonly spit out their samples rather than swallow them (due to the sheer quantity of wine they’ll go through in a day). It’s good practice at industry events and I’ve seen people recommend this practice to everyone. However, it’s rather messy, and honestly, in the dozen or so years I’ve been doing this, I can’t think of many occasions where I’ve seen people spit in tasting rooms. But if you’re driving and want to be cautious, bring a plastic cup with you to spit in rather than spitting straight into the bucket. Over the years I’ve found these strategies to be worth their weight in gold. There will always be some tasting rooms whose staff are sticklers for policy, but if you employ some of these tips into your wine tasting routine you’ll be amazed at how much value will be added to your wine country experience versus that of the average tourist. You’ll have a lot more fun and the tasting room staff will be delighted that you stopped by. 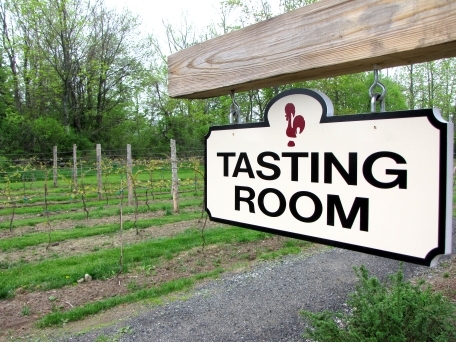 What other tasting room strategies have you had success with? Add them in the comments and we’ll give them a try on our next wine trip! This entry was posted on July 21, 2014, 10:28 am and is filed under Insider Secrets, Wine Travel. You can follow any responses to this entry through RSS 2.0. You can leave a response, or trackback from your own site.